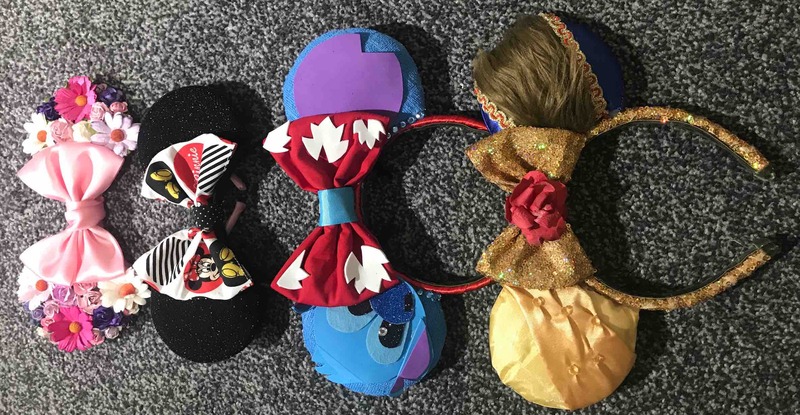 Getting back from Florida we immediately wanted to go back, however with work and money stopping us from being able to we had a look online, did a little research and booked Disneyland Paris for May 2019. This seemed like a good time to go, was far enough in advance that we can sort out our finances and holidays with work etc. We also had a look at a crowd calendar online and this showed us that the first week in May would be a good time to go, since we went to Disney World at a quiet time we wanted to do the same with Paris (and neither of us enjoys big crowds). 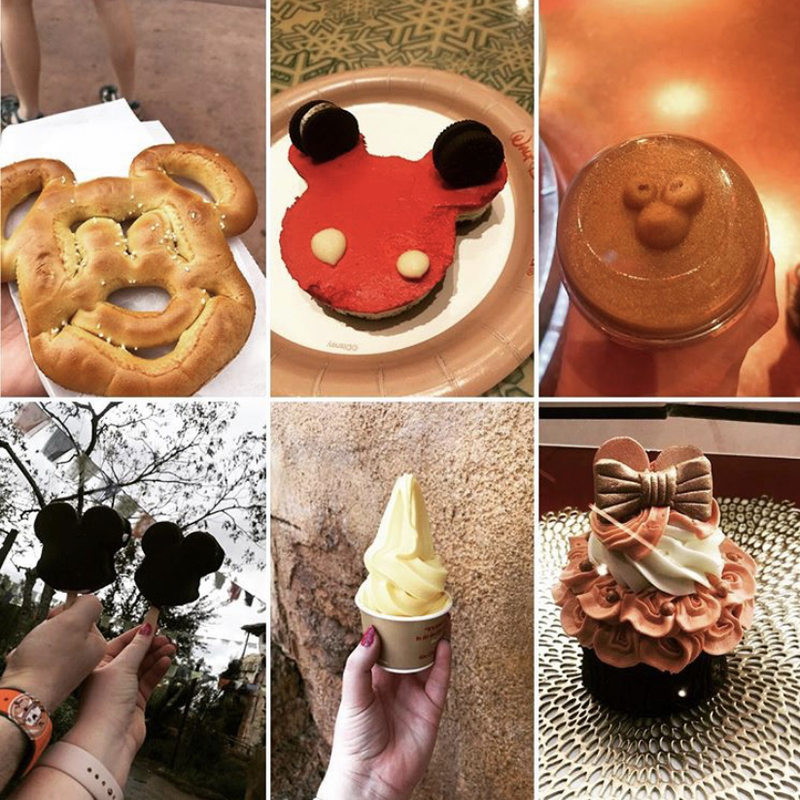 Some of the Disney food that we had in Florida (and want again)!!! We decided that since this holiday is primarily for Disneyland that we are going to stay in a Disney hotel (first time ever), only issue is… Which hotel? Well we had a look online at how far away from the parks the hotel were, how much they would cost per night, what these bookings include (room only, room and breakfast, the amenities etc), the internal decor and the reviews. All hotels were an option for us so we just had to whittle away the ones we know we didn’t want to stay at. So we knew we didn’t want the following; room only, far enough from the parks we need to get a bus, hotel with strong bad reviews. 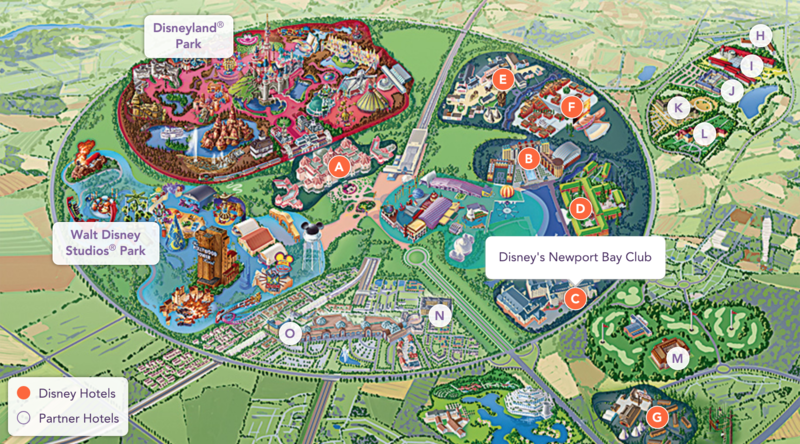 After browsing around and seeing what each hotel has to offer we have opted to stay at Disney’s Newport Bay Club hotel and we decided to stay in the Compass Club rooms. The reason we chose this hotel was it’s close proximity to the park (it’s within walking distance), it has lovely views all round, the rooms look so cute and a buffet breakfast is included. To add to all of this staying in the Compass Club means that we also get an extra FastPass each day to use whenever we want to, we also get afternoon snacks in the club room (there are other extras but we didn’t feel they were special enough to sway our decision). The hotel itself is themed around a lakeside mansion and the interior has a nautical style decor which is perfect as it looks out onto the lake. Like all the other Disney hotels, guests benefit from extra magic hours in the parks. The hotel is around a 15 minute walk to the parks, if you don’t like to walk there is also the option to get the shuttle bus which is a short ride, so you can make full use of both parks in Disneyland Paris at any time during the day. We have paid £1300 for our accommodation which includes: 5 days park tickets for both parks, hotel room for 4 nights, breakfast everyday, afternoon snacks everyday, an extra FastPass each day and a PhotoPass+. This was booked through MagicBreaks. 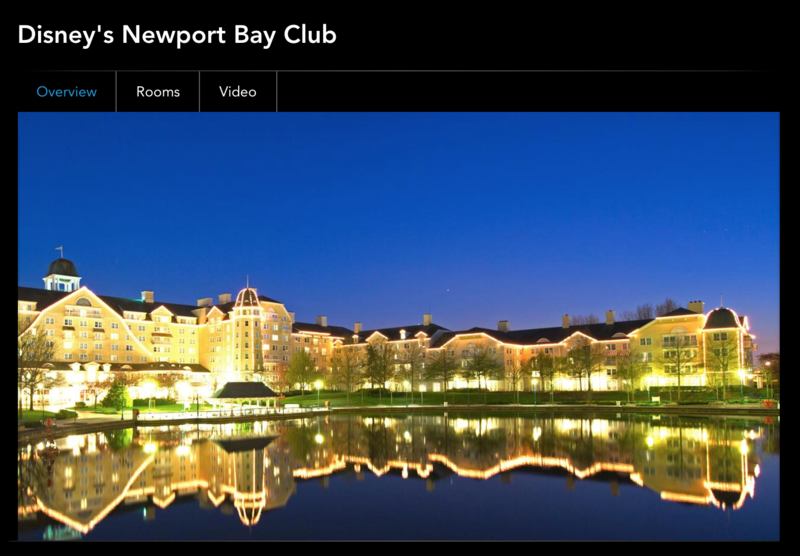 Image from Disneyland Paris website, of the Newport Bay Club Hotel. This means that the only things we need to think about/sort out are our flights, transfers, spends and organising a day in Paris. We have sorted our flights out, we did have a few different options; EasyJet, Flybe and AirFrance. We looked at the price differences and have booked with AirFrance. The total cost for return tickets for both of us is about £300, including hand luggage and hold luggage up to 25KG each. We are flying out on the Monday at 06:10 and land in Paris at 08:50 which means we can be in the park by the afternoon!! This gives us enough time to get our luggage and get through passport checks, get to the hotel and check-in, unpack and then head to the parks. YAYY! Our flights back are at 20:50 on the Friday, which again means that we can spend most of Friday in the parks as well and it’s not crazy late to land in the UK around 21:20. The best things to look at for the flights are if the times really suit you, if you want to get the most out of your time then flying early morning is best when flying out as you get more time to spend in the parks but you’re not going to feel rushed. This is the same for choosing late flights when going home as again you can spend that morning in the parks, relax and know that you have plenty of time to make it back to the airport for your flight. We have never flown with AirFrance before so we don’t know what that is going to be like, but we are looking forward to it. I don’t think short haul flights have a lot to consider with airlines, for me it’s a bigger issue if it is a long haul flight. But everyone is different and if you know you want to fly with a particular airline then go for it! When it comes to the hotel, again it is personal preference and you might need to consider different factors such as budget, amenities, proximity to the park etc. For us it was all about the proximity to the park, inclusive of breakfast, and any extra perks we could get with our room. This is only planning part 1, we will be posting about Disneyland Paris planning again as we look at, research and book more of this holiday (such as the transfers and our day out in Paris). Don’t forget to follow us on Twitter and Instagram to see what we’re up to! Previous Previous post: Last Minute Trip to Lancaster. Next Next post: Hack Green – The Secret Nuclear Bunker. Hey – Brilliant blog post, i’m booking a Disney holiday too, so excited! Woo enjoy your upcoming holiday! I love Disney as well! I’ve only ever been to Disney in Florida. What a fun way to make up for this missing Disney vibes while also venturing out on a new destination. I’ve always wanted to visit Paris ever since I took French back in high school. I guess a trip to Paris and a visit to Disneyland Parish makes for a wonderful getaway! can’t wait to follow your journey there! Love this post! We are going to Disney in Florida in March. Can’t wait! Once you get the Disneyland bug, you really can’t help but want to go back! Some great tips in here for anybody planning a trip. A great holiday for big kids and little ones!